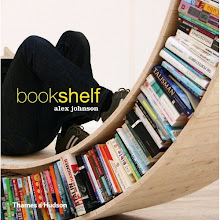 A bookshelf which tips in one direction when books are placed on it. The 5° slant means that the books lean gently, giving them stability. An ironic, but also functional play with balance and stability. Usable for heavy and light literature. Click image to watch it, nearly, topple.